GSRTC Conductor answer key 2018 Download- GSRTC will release GSRTC Conductor answer key for GSRTC Conductor exam held on 10th June. here we provide GSRTC Conductor answer key 2018download link. 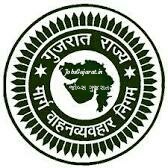 Gujarat state road transport corporation conduct exam for the 1997 post of conductor and 933 post of driver bharti 2018. GSRTC Conductor question paper was taken on date 10-06-2018. First download link is not official answer key of GSRTC Conductor exam 2018. GSRTC Conductor official answer key 2018 will be available soon from official GSRTC ojas website. As official website provide GSRTC Driver and conductor official answer key then here we provide GSRTC Conductor answer key 2018 download. Check your score carefully and also check your paper set number and then check answers. Click on link and home page will open. Then search GSRTC Conductor Official answer key 2018-2019 and wait until you get search result. Click on new available link and then select you paper set number. Then check your paper and find score. Then prepare for next selection round of GSRTC Conductor bharti 2018-2019. GSRTC released official Notification for GSRTC Conductor/Driver recruitment around 2930 posts in march 2018. And call letter for gsrtc conductor exam was available to download from 1st June 2018. Exam date for gsrtc conductor exam announce to 10th June 2018. And here we provideGSRTC Conductor answer key 2018. 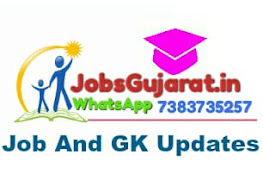 So Download answer key and check your marks in Gujarat state road transport corporation conductor exam. GSRTC is the main organization in Gujarat for transportation of human being and various goods.